Licensed reproduction of a classic GMC Trucks tin metal sign. The kind you'd find several decades ago at your local General Motors GNC Truck dealer. A great collectible item or a decoration for the home or office. It also makes a great gift for any American automotive nostalgia collector or gearhead. This is a metal sign, made in the U.S.A. Measures 11.75 inches round. UPC: 6-05279-11012-4 | Part No. 1012. 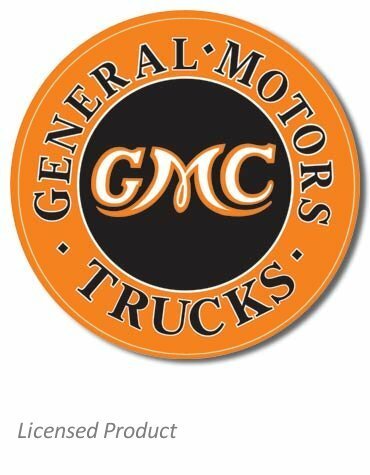 Ask a question about "General Motors GMC Trucks" Tin Sign.